October 2014 Casa das Luz, museo de la electricidad, Madeira, Portugal. 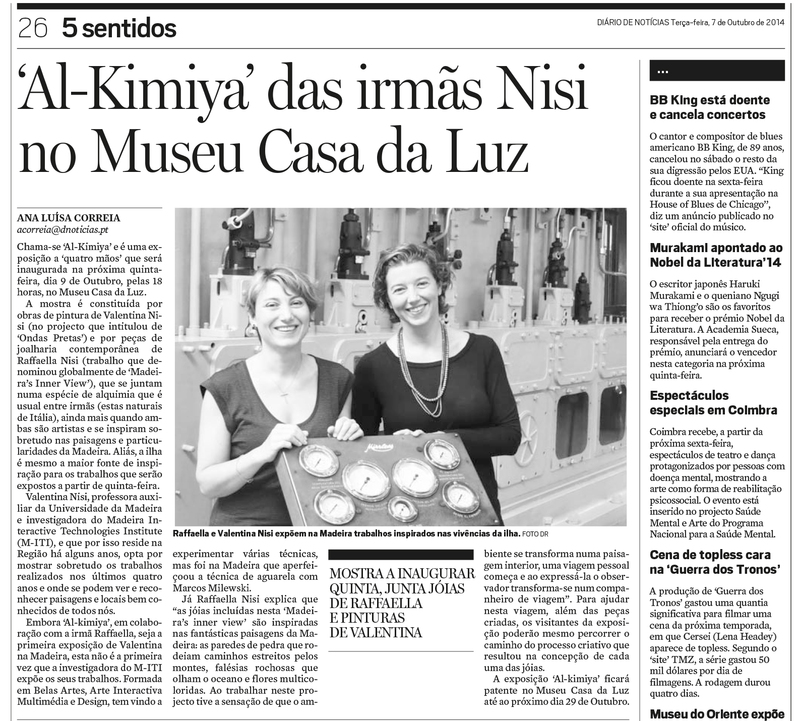 Al-Kymia is an exhibition completely inspired by natural landscape of the island of Madeira in Portugal. It was an amazing and binding experience that gave the opportunity to show at the same time the beautiful watercolor paintings made by my sister Valentina Nisi and jewellery designed and hand made by myself .